Daughters of Betty White, who recently died in the Yeatman, wanted to show their appreciation of the wonderful care she received there. Following discussions with Matron and the Friends, they chose to give a Bose Music System to be used in the newly created Ada Kearvell suite, enhancing the environment for both patient and relatives during those especially difficult times. 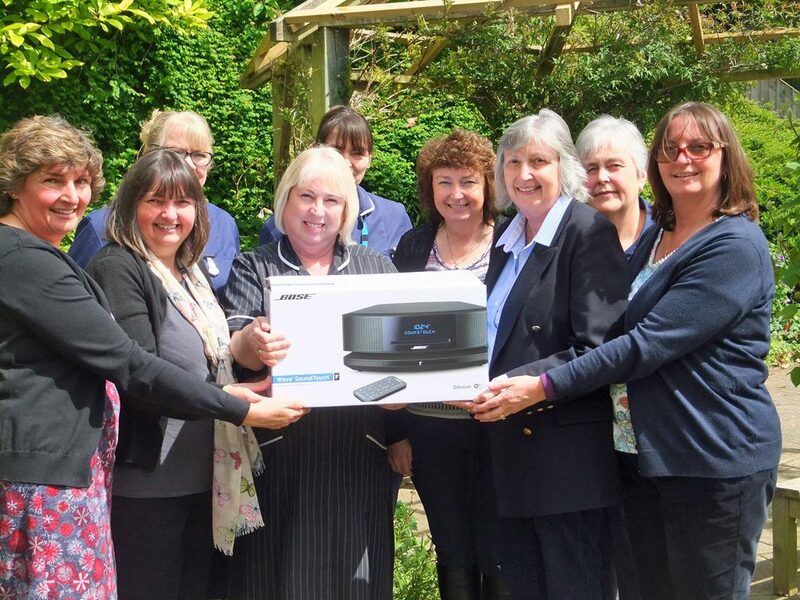 Matron receives the Bose Music System from (L to R)Sharon Coward, Jackie Fellingham, Michelle Eggleston, Carol Brake, and Sarah Goodland. Sister Shirley Richardson, Snr. Sister Barbara Ludlow, and Sister Denise Willmotts hide in the back row.